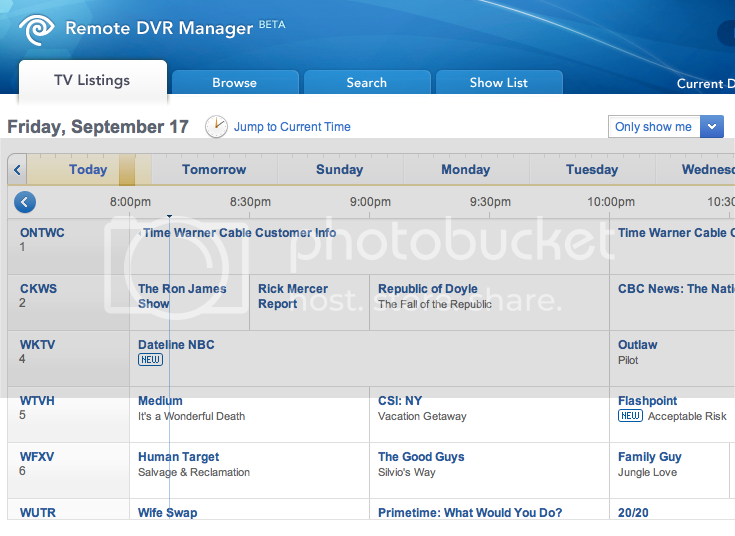 In our division we now have the option for Remote DVR Managment. An AVS member from Rochester has confirmed it there as well. I would venture to say that you should also have it in Albany. Check you My Services account for options. I am in the Albany division, and the remote DVR management is active and accessible under MyServices. 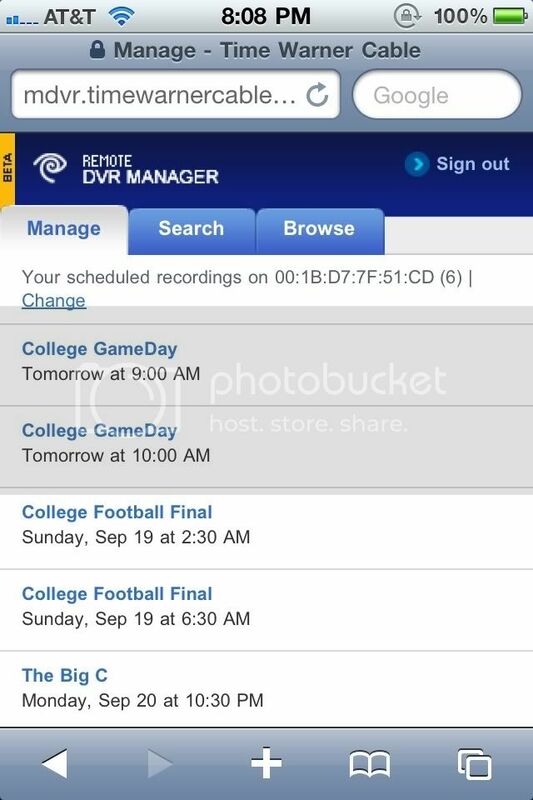 Both my DVR's show up and include a listing of all future recordings. I did a quick test of the record feature by selecting a currently running program from the guide, and it worked fine. Thanks for this info! Now that I can remote record like Directv, the deal with Tivo, and the new added HD channels, I'm ready to drop Directv and save some money. This certainly comes in handy. I used the Web site this morning to record a couple things I forgot to set before I left the house. It'll also be nice to have this when PTI (which I record everyday) is bumped from ESPN to ESPN2 because of breaking news coverage).